You wouldn’t miss a beer fest, would you? And you certainly wouldn’t miss a beer and cheese fest. Here’s your guide to eating, drinking, and generally partying your way through San Diego this fall. Chow through San Diego Restaurant Week San Diego Restaurant Week is back to challenge foodies to dine at as many of the 180 participating restaurants all over the city in just eight days. No tickets are required and each restaurant will have a specially priced menu for lunch and dinner each day. Chow through San Diego Restaurant Week Various locations San Diego Restaurant Week is back to challenge foodies to dine at as many of the 180 participating restaurants all over the city in just eight days. No tickets are required and each restaurant will have a specially priced menu for lunch and dinner each day. 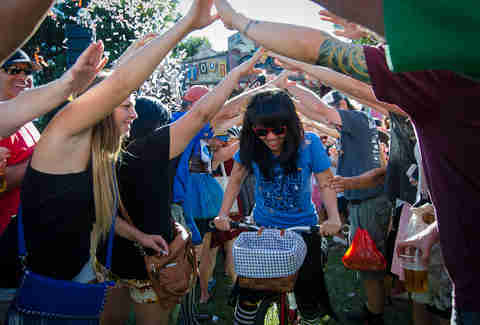 Drink up at Tour de Fat New Belgium’s Tour de Fat is the most fun you’ll ever have at a fundraiser and the event is back again in Golden Hill Park. The festival promotes biking as a sustainable transportation method with a costumed bike parade, live music, and plenty of beer from noon to 5pm. Proceeds will benefit the San Diego County Bicycle Coalition and the San Diego Mountain Biking Association. Drink up at Tour de Fat Golden Hill Park New Belgium’s Tour de Fat is the most fun you’ll ever have at a fundraiser and the event is back again in Golden Hill Park. The festival promotes biking as a sustainable transportation method with a costumed bike parade, live music, and plenty of beer from noon to 5pm. Proceeds will benefit the San Diego County Bicycle Coalition and the San Diego Mountain Biking Association. Ring in Mama’s Kitchen's 25th Anniversary Celebration Mama’s Kitchen is celebrating 25 years of delivering healthy meals to people struggling with AIDS or cancer in San Diego. Starting at 7pm, it will host a family-style farm-to-table dinner under the stars with entertainment and dancing at the Illumina Campus. There will also be a high-end live auction to raise funds to help cover its food costs so it can continue to provide nutritious meals and support to those in need. Ring in Mama’s Kitchen's 25th Anniversary Celebration Illumina Campus, La Jolla Mama’s Kitchen is celebrating 25 years of delivering healthy meals to people struggling with AIDS or cancer in San Diego. Starting at 7pm, it will host a family-style farm-to-table dinner under the stars with entertainment and dancing at the Illumina Campus. There will also be a high-end live auction to raise funds to help cover its food costs so it can continue to provide nutritious meals and support to those in need. See 110 bands at a street fair The avenue will shut down from 32nd to 35th and be taken over by eight stages featuring 110 bands, beer gardens with craft beer tastings, food, arts and crafts booths, and carnival rides during the 34th Annual Adams Avenue Street Fair. The event is free to the public and everything will be happening from 10am-7pm both Saturday and Sunday. See 110 bands at a street fair Normal Heights The avenue will shut down from 32nd to 35th and be taken over by eight stages featuring 110 bands, beer gardens with craft beer tastings, food, arts and crafts booths, and carnival rides during the 34th Annual Adams Avenue Street Fair. The event is free to the public and everything will be happening from 10am-7pm both Saturday and Sunday. Get down at the San Diego Blues Festival If street festivals aren’t your thing, then grab two non-perishable food items and head to the San Diego Blues Festival instead. From noon-8pm both days, you’ll get to see live performances from 18 great blues musicians on the Embarcadero while supporting the Jacobs & Cushman San Diego Food Bank. Get down at the San Diego Blues Festival Embarcadero Marina Park North If street festivals aren’t your thing, then grab two non-perishable food items and head to the San Diego Blues Festival instead. From noon-8pm both days, you’ll get to see live performances from 18 great blues musicians on the Embarcadero while supporting the Jacobs & Cushman San Diego Food Bank. Hit the San Diego Film Festival The opening night film will be shown at 7pm, followed by the opening night party at the Andaz Hotel. 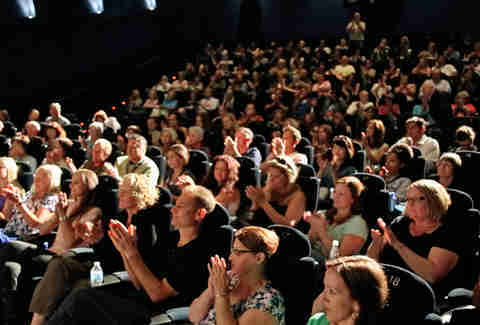 The fest will continue with five days of parties, movies, panels, actors, and filmmakers. Hit the San Diego Film Festival Various locations The opening night film will be shown at 7pm, followed by the opening night party at the Andaz Hotel. The fest will continue with five days of parties, movies, panels, actors, and filmmakers. Run the Pacific Beachfest 5K, then drink Only in PB can you run a 5K and then be rewarded with free sunglasses and a complimentary beer upon completion. Runners will start at Joe’s Crab Shack, race to Belmont Park, and then head back up the boardwalk to finish off the last quarter mile on the sand. There will also be a pro surf competition, pro volleyball competition, food vendors, a beer garden, live music, and a PB fish taco competition. Run the Pacific Beachfest 5K, then drink Pacific Beach Only in PB can you run a 5K and then be rewarded with free sunglasses and a complimentary beer upon completion. Runners will start at Joe’s Crab Shack, race to Belmont Park, and then head back up the boardwalk to finish off the last quarter mile on the sand. There will also be a pro surf competition, pro volleyball competition, food vendors, a beer garden, live music, and a PB fish taco competition. Get classy at La Jolla Art & Wine Festival The La Jolla Art and Wine Festival will be taking over the half-mile stretch of Girard from Prospect St to Torrey Pines Rd and filling the street with artists, a silent auction, live entertainment, gourmet food, and a beer & wine garden. On Saturday night the BraveCort Brewfest will be going on from 8-11pm with unlimited beer samples from local breweries, live music, food and a Bavarian beer stein-holding contest to support childhood brain cancer research. Get classy at La Jolla Art & Wine Festival La Jolla The La Jolla Art and Wine Festival will be taking over the half-mile stretch of Girard from Prospect St to Torrey Pines Rd and filling the street with artists, a silent auction, live entertainment, gourmet food, and a beer & wine garden. On Saturday night the BraveCort Brewfest will be going on from 8-11pm with unlimited beer samples from local breweries, live music, food and a Bavarian beer stein-holding contest to support childhood brain cancer research. Embrace your inner Italian at FESTA The Sicilian Festival and FESTA are teaming up this year for the largest Italian festival in the country. FESTA has been happening for 21 years in SD and this year the streets of Little Italy will be full of authentic live Italian entertainment, Italian food, stickball, bocce ball tournaments, and beautiful Gesso Italiano painting the sidewalks. 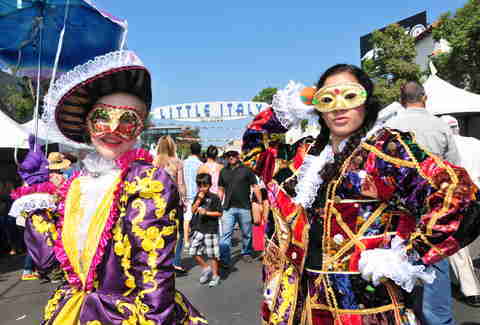 Embrace your inner Italian at FESTA Little Italy The Sicilian Festival and FESTA are teaming up this year for the largest Italian festival in the country. 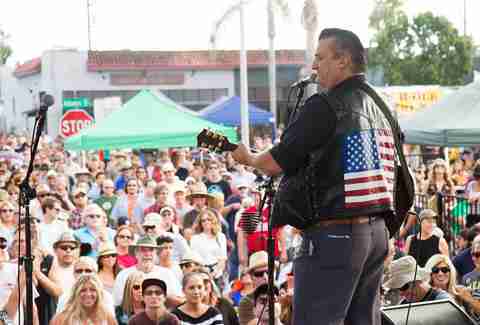 FESTA has been happening for 21 years in SD and this year the streets of Little Italy will be full of authentic live Italian entertainment, Italian food, stickball, bocce ball tournaments, and beautiful Gesso Italiano painting the sidewalks. Check out the Fifth Avenue Auto Showcase From classic to luxury, Fifth Ave will be lined with must-see cars from E St to K St. It’s free to stroll down Fifth and check out the cars from 11am-4pm and you can even vote for your favorite to win the People’s Choice Award. If your think your hot rod has what it takes to compete, there’s still time to enter. 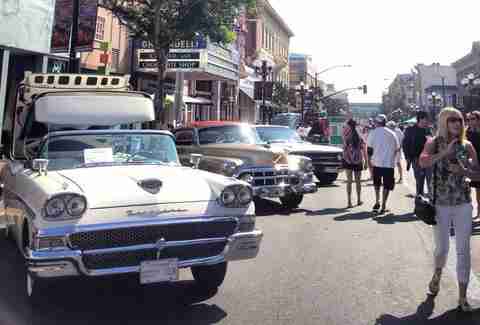 Check out the Fifth Avenue Auto Showcase Gaslamp From classic to luxury, Fifth Ave will be lined with must-see cars from E St to K St. It’s free to stroll down Fifth and check out the cars from 11am-4pm and you can even vote for your favorite to win the People’s Choice Award. 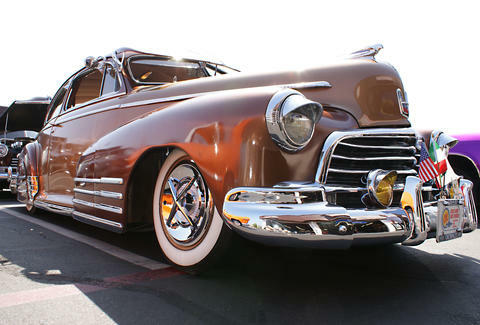 If your think your hot rod has what it takes to compete, there’s still time to enter. Judge a chef showdown The Chef Showdown to support Domestic Violence Awareness Month is going on at the Port Pavilion at Broadway Pier from 6-9pm. Ten well-known San Diego chefs and mixologists will go head to head to create the perfect food and beverage pairing. There will be a people’s choice judging panel as well as six industry professionals to choose a winner. Judge a chef showdown Broadway Pier The Chef Showdown to support Domestic Violence Awareness Month is going on at the Port Pavilion at Broadway Pier from 6-9pm. Ten well-known San Diego chefs and mixologists will go head to head to create the perfect food and beverage pairing. There will be a people’s choice judging panel as well as six industry professionals to choose a winner. Party hard at Monster Bash The streets of Downtown will be shut down by a mob of costume-wearing party people from 6pm to midnight this Halloween for the 15th Annual Monster Bash. There will be live performances on eight stages, five different experiences (including a freak show, doll house, and VIP Zombie apocalypse), plus 20 top DJs from all over the country. Party hard at Monster Bash Gaslamp/East Village The streets of Downtown will be shut down by a mob of costume-wearing party people from 6pm to midnight this Halloween for the 15th Annual Monster Bash. There will be live performances on eight stages, five different experiences (including a freak show, doll house, and VIP Zombie apocalypse), plus 20 top DJs from all over the country. Dominate San Diego Beer Week This marks the seventh year of San Diego Beer Week and this year is expected to be the biggest yet. 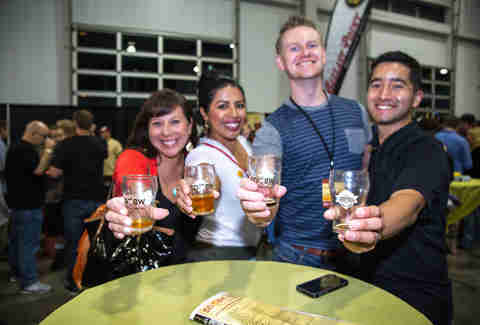 The week kicks off with the San Diego Brewers Guild Festival on the 6th and 7th followed by hundreds of events at breweries all over the city including beer tours, tap takeovers, exclusive releases, beer dinners featuring limited edition brews and so much more. Dominate San Diego Beer Week Various locations This marks the seventh year of San Diego Beer Week and this year is expected to be the biggest yet. The week kicks off with the San Diego Brewers Guild Festival on the 6th and 7th followed by hundreds of events at breweries all over the city including beer tours, tap takeovers, exclusive releases, beer dinners featuring limited edition brews and so much more. Drink up (and eat up) at San Diego Bay Wine & Food Festival Food and wines lovers will not want to miss the San Diego Bay Wine and Food Festival this year. There are multiple events planned every day like the San Diego Bay Wine & Food Festival Golf Invitational, wine classes, blind taste tests with the masters, and more leading up to the main Grand Tasting event on the 21st. Drink up (and eat up) at San Diego Bay Wine & Food Festival Various locations Food and wines lovers will not want to miss the San Diego Bay Wine and Food Festival this year. There are multiple events planned every day like the San Diego Bay Wine & Food Festival Golf Invitational, wine classes, blind taste tests with the masters, and more leading up to the main Grand Tasting event on the 21st.